Price discusses Premier League Darts, which returns on Thursday at 7pm live on Sky Sports from Cardiff. 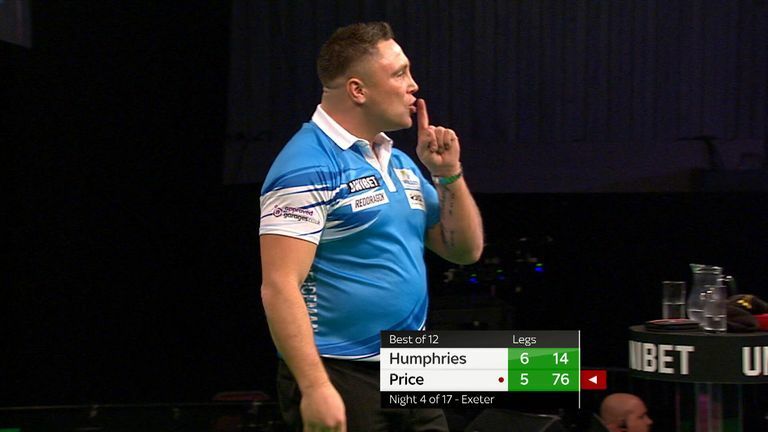 Gerwyn Price silences a booing Premier League crowd! He also goes into detail on his controversial reputation - the booing that follows him to every arena, the fine he incurred for his on-stage behaviour, and the appeal process. James Wade's form after his Players Championship win is also debated in the studio. Colin Lloyd answers Twitter questions from our fans! The Premier League continues as we head to the Motorpoint Arena in Cardiff on Thursday, April 18. You can also stay up to date with all the action by following us @SkySportsDarts and get all the latest news, previews and interviews www.skysports.com/darts.